Thirty years after their original design, Bureau B+B has updated the famous plan known as the ‘The Healthy Core’. 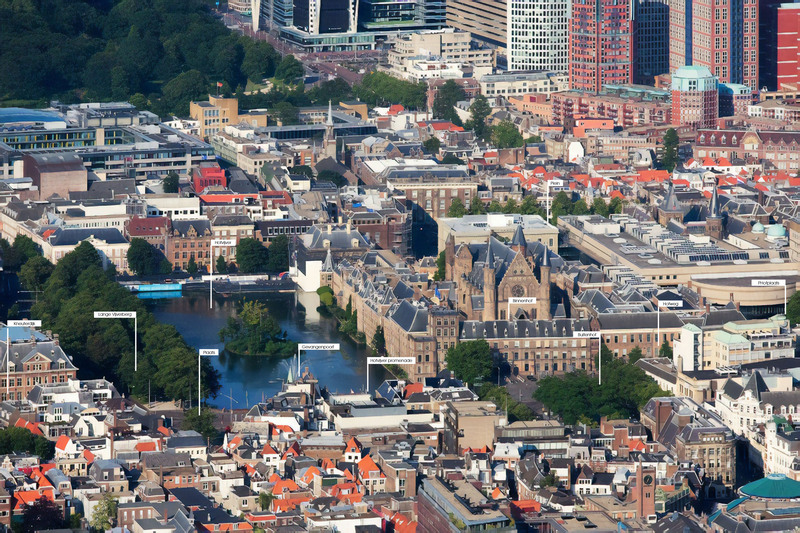 The economic and social circumstances of The Hague have changed, but the city continued to lack coherence, identity, and quality. 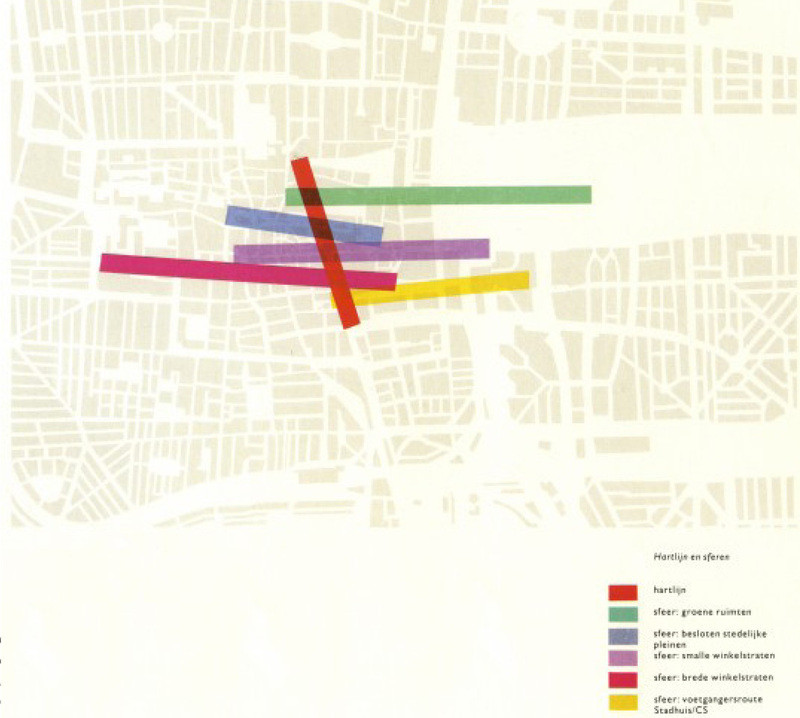 In 1987, B+B designed ‘The Healthy Core’, a master plan for the renovation of the city center of The Hague. The concept was based on five linear landscape atmospheres. Each atmosphere has its own recognizable identity, fusing the city center into one unit. 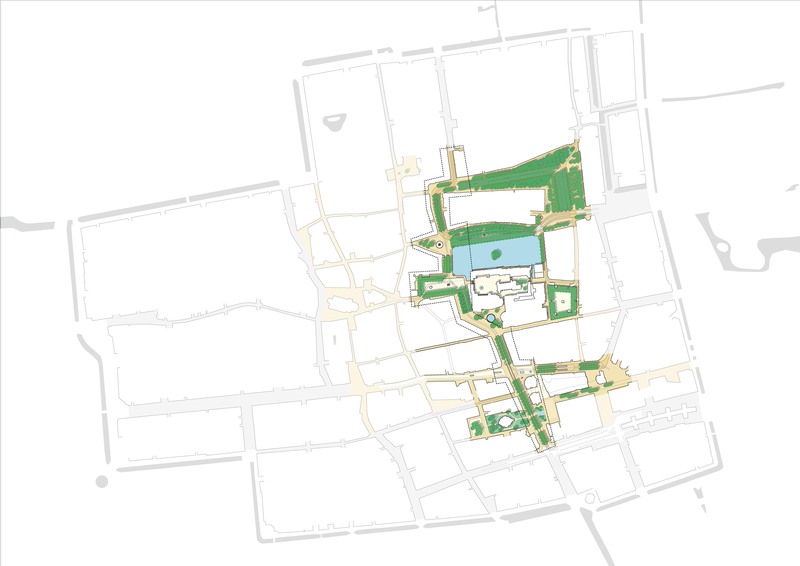 The Heart Line is the center axis that runs from Spui to the Lange Voorhout and connects the other individual linear atmospheres. Over the years, the Heart Line was never successful in creating a sense of cohesion. 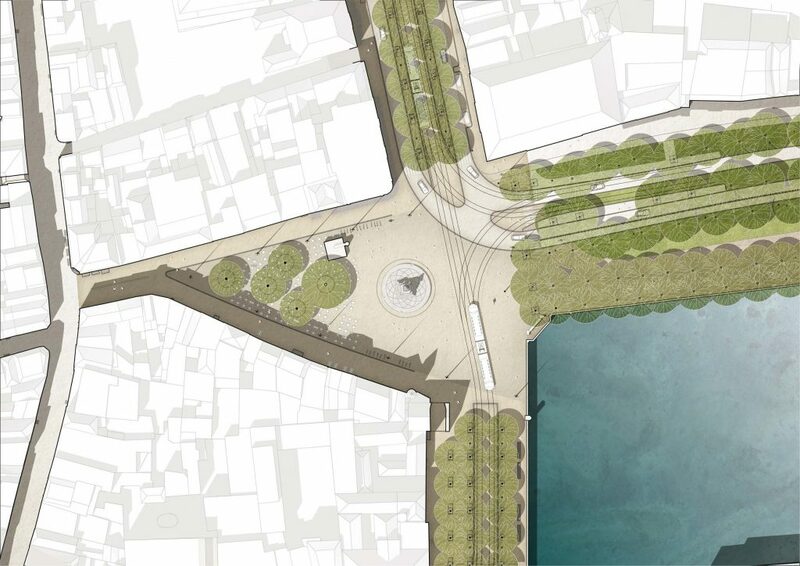 The previous plan is car centric, and it resulted in a wide and unidentified space, creating no sense of place. This was the opportunity for B+B to focus on the role and importance of the meaning of the Heart Line. 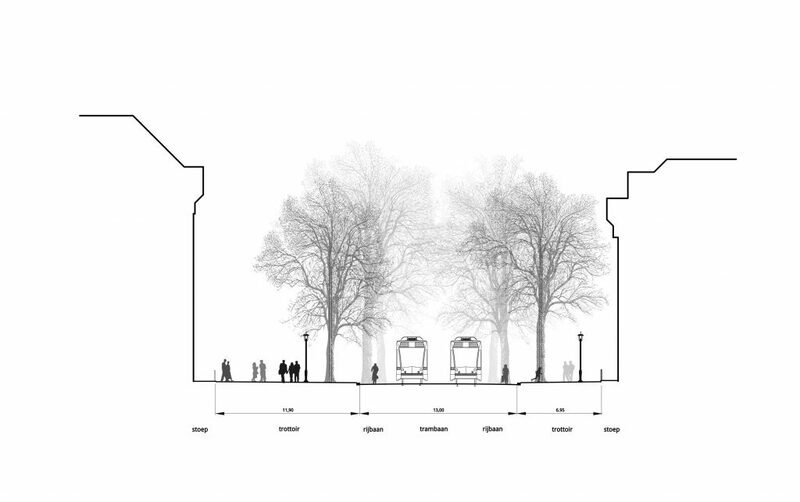 In today’s plan, the Spui to the Lange Voorhout is transformed into a pedestrian friendly area enhancing the connection between each spatial linear atmosphere’s identity. Several destinations of the inner city are situated close to the Heart Line. 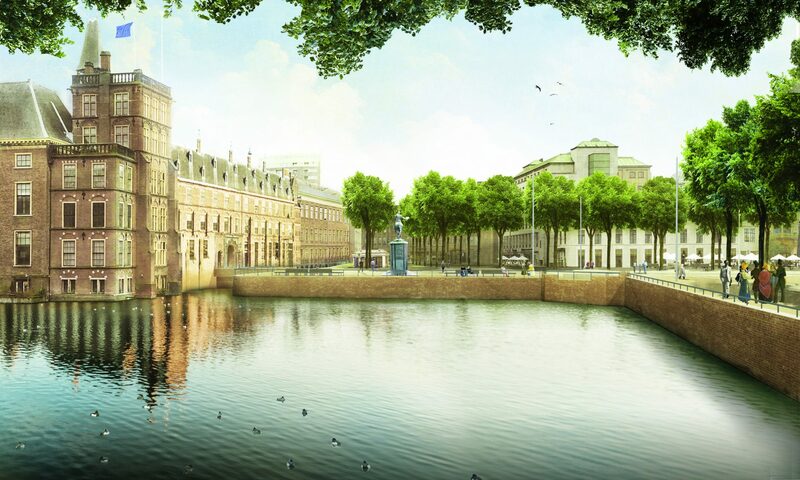 This includes City Hall, the Dutch Parliament, the museums and cultural program of the Lange Voorhout, and the main shopping streets. The space is designed as a route that guides visitors from one space to the next. 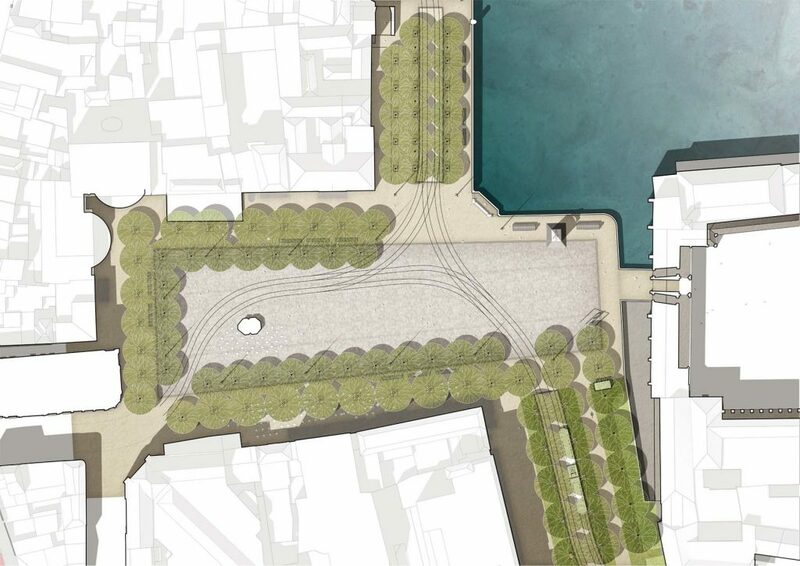 The various passageways crossing the Heart Line are composed of different paving and materials inspired by each of their historical contexts. 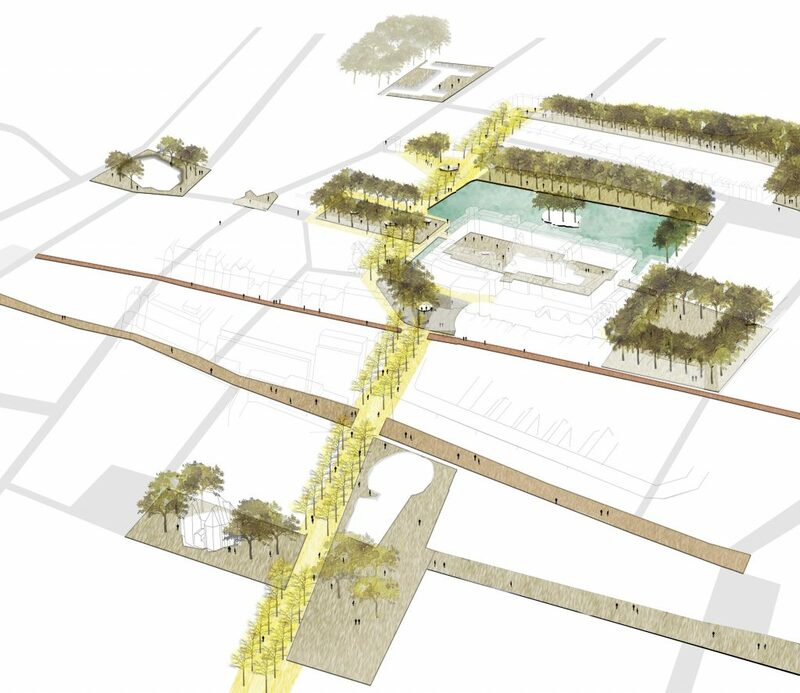 The open spaces along these axes are highlight the surrounding buildings and are distinguished by tree borders. 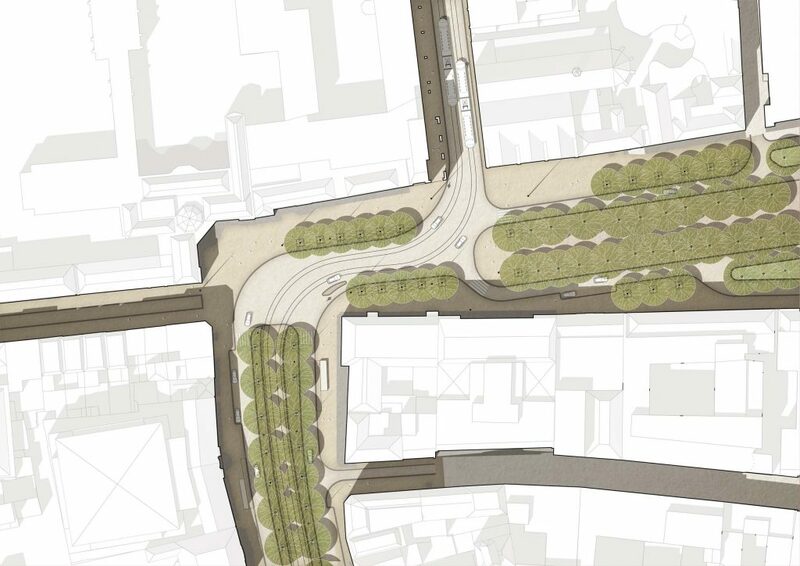 The decrease in car traffic allows the formation of a shared space boulevard on the Heart line. In this shared space, bicycles, public transport and local traffic all use a central lane, subtly marked in the pavement. This leaves generous pedestrian lanes on either side transforming the Heart line into a to a place to be. From feeling lost to the Vision of "De Kern Bijzonder 2017"
Spatial clarity and cohesion through timeless design for the "Parliament Square"
The new vision for the "Parliament Square"
The new vision for "De Plaats"
Minimizing traffic space, maximizing public space on the "Lange Voorhout"
The new vision for the "Lange Voorhout"